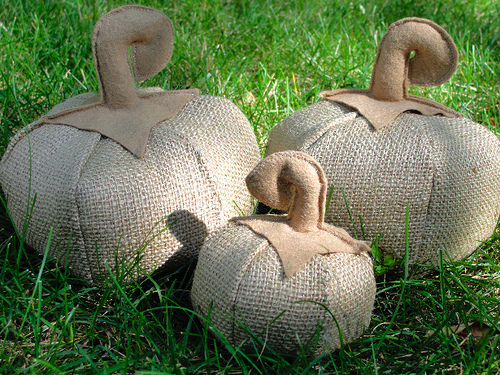 There are tons of ideas on the blogs for Halloween decor. 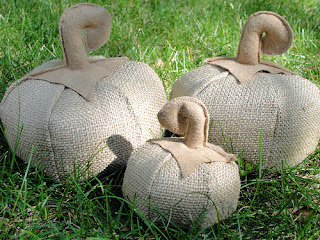 I am especially drawn to these fabric pumpkins ideas. 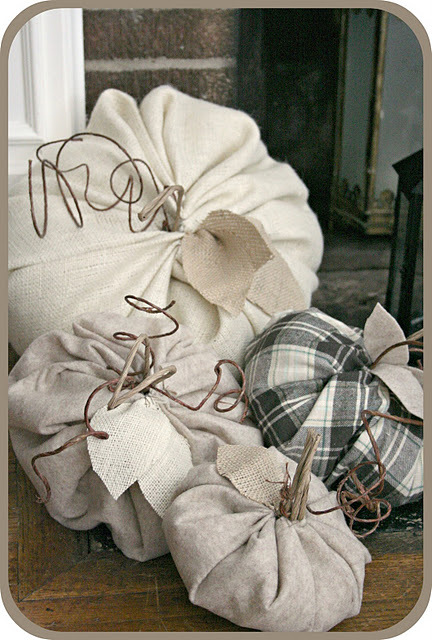 This quartet is the subject of a complete tutorial over on Polka Dot Bungalow. Adding the one plaid pumpkin to this grouping makes it. That and the curlicue stems. And from The Pursuit of Happiness Blog - another DIY fabric pumpkin. I am always amazed by how I am am drawn to those items in the natural color palette. We try to add color to our home and always choose the subtle tones. Although I do have a true to life real orange pumpkin!